Nothing beats practice when you want to ace a test. That is why when competing in highly sought-after competitions that have a volume of participants each year like the EU exams, you need to amp up your skills and prepare well to rise above everyone else. 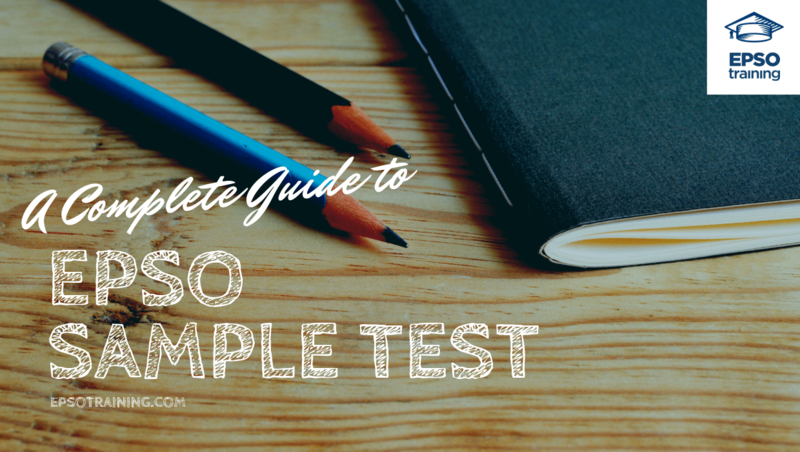 To help you with that, we have compiled some helpful sample tests with some know-hows that will guide you with their logic while helping you practice; providing you with deeper understanding on what goes on with the tests at EPSO as you glide your way through the top. 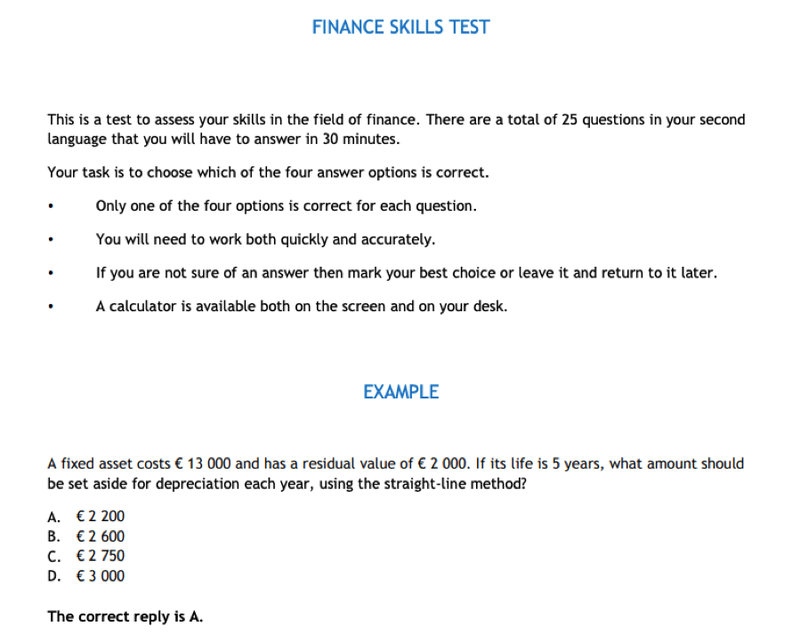 One of the commonly known tests in any EPSO competitions is its MCQ test or Computer-based Multiple-Choice Question. The majority of the tests are in this form, employing various formats that will best fit to assess your abilities according to the skills required in the competitions. It is taken individually at a test centre. The MCQ reasoning tests are divided into 4 kinds: Verbal, Numerical, Abstract Reasoning, and Situational Judgment. In a verbal reasoning test, you will be given one question with four choices, of which only one is the correct answer. The question will be based from a short abstract, which contains vital information that will lead you to the exact answer, weeding out the other given choices. This test will assess your ability to think logically and understand verbal information. As such, it is expected that the tests on verbal reasoning are highly specific. You may encounter moments where statements will not be straightforward. That is why it is very important to choose your final answer solely through the information provided in the paragraph. The new kind of aurora is called after Steve, the scientist who discovered it. The purple and white streams in the sky have been discovered in 2016 by scientists. Aurora is a gorgeous glowing lights in the sky in different colors. It took researchers over 7 years to confirm the nature of Steve. False: There is no evidence in the document to support this claim. False: It has been known to photographers and aurora chasers for few decades before 2016. Also, researchers have been studying Steve event from 2008. False: Aurora has shimmering lights , not glowing. That what makes Steve different from normal Aurora, and drawn the attention that Steve may not be an Aurora. True: Researchers began studying Steve in 2008. By 2016 , it was brought to attentions of scientists. The article mentions that earlier this year (which should be 2016 or beyond) , the researchers announced that it is a new type of Aurora. The EPSO Numerical Reasoning test aims to assess your ability to think logically and understand numerical information. Unlike the verbal test, you will be given a question with five choices, of which you will have to choose one correct answer. You will be presented with graphs, charts, and other numerical data, which resembles the figures that you would normally find in a report or a format article. It is through these things that you will have to carefully analyze the given information. Question: What was the number of live births in total in the three most populous EU capitals in 2017? The three most populous EU capitals in 2017 were London, Paris, and Berlin. Question: In 2009, % of Boston population aged 30-54 was greater by 3.2 points than in 2008. What is the difference between the number of persons aged 30-54 in 2009 and 2008 in Boston, given that the Boston population didn’t change between 2008 and 2009? What store actually sold less units per one employee than any other store during the first week? The EPSO Abstract Reasoning Test assesses your ability to think logically and understand the relations between concepts involving no linguistic, spatial or numerical elements. You will likewise be given a question in the form of an image/s with five choices of which you will have to choose the best one. You only have to look at the first vertical line of figures. If you observe the bottom diamond, it moves by one position in each figure on the diagonal from bottom left to top right. Once it reaches the top in the 4th figure, it goes towards the left. The correct answer is C.
Look at the figures shaped in L at the bottom left of the first figure. They are made of filled triangle (top), empty square (second figure), empty diamond (third figure), filled circle (last figure). All these figures move by 2 positions counter-clockwise in each large figure. The correct answer is D.
Answer and explanation: Letter C. The arrow turns 45 degrees counterclockwise. Answer and explanation: Letter D. The colors of the square and circle alternate. The inside square turns every 2 turns and rotates counterclockwise along the circle every turn. When the circle is black, it is incremented with +1. Since the EPSO Situational Judgment Test works to asses your typical behavior in a working context, this test usually differs from the rest. You will be given questions, each describing a work-related scenario linked to a block of four possible actions. Among these, you will then have to choose the most effective one as well as the least effective action to take. The EPSO Situational Judgment Tests is known to be one of the most important EPSO tests. It makes up 66% of the final mark. It is through this test that you will be assessed with a realistic but hypothetical situation that could occur on the professional environment. Furthermore when answering, you should keep in mind to only take into account the information which has been provided. You should keep your own experiences at bay so that you may not run the risk of selecting answers that are not appropriate. B – This is the most effective decision. Discuss directly with your colleague in order to clear the doubts. Based on the output of the discussion, take the issue to the management. D – This is the least effective decision. Spying on your colleague is a waste of time. Competency-based tests aim to assess multiple abilities that are specifically important for a career with EPSO. It looks at certain skills that relate to the nature of competition you are applying for. The Accuracy and Precision test will consist of 40 questions, which you will have to finish in six minutes. You will have to be assessed in whichever one of your chosen second language: English, French, or German. 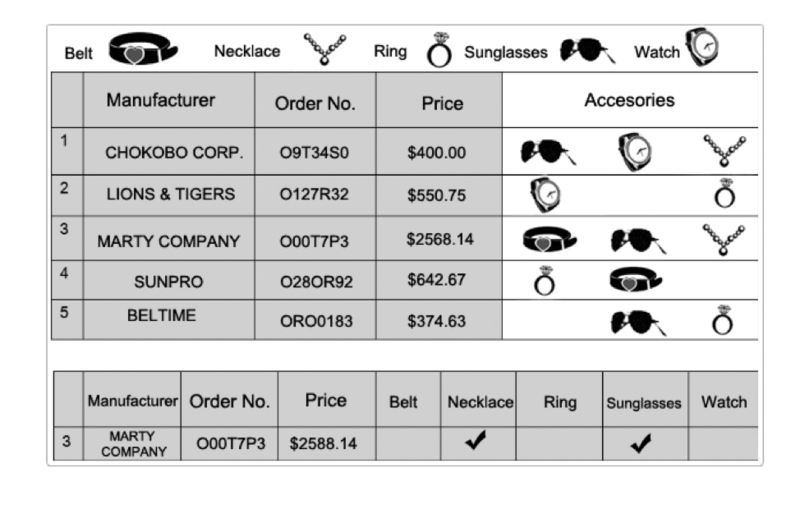 However, on the table below that goes over the information of number three, we can see that the price is incorrect with $2588.14 instead of $2568.14. Furthermore, the accessories are also checked inaccurately with the belt missing. The EPSO Prioritising and Organising Test consists of 24 questions, which need to be answered within 30 minutes. This test aims to assess the speed of your deduction skill as well as your ability to organize a schedule while analyzing information. The questions would be of particular situations usually related to travel or commuting. You will be given 5 choices of which you are to choose the answer. Answer and explanation: The correct answer is A: 5:00 AM. 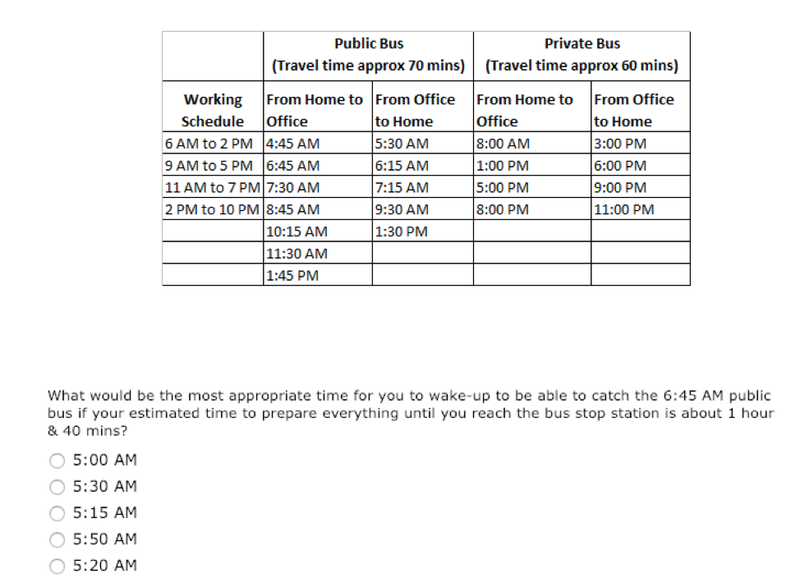 The best time for you to wake up to catch the 6:45 AM public bus, given that you need to prepare for an hour and 40 minutes until you need the bus stop, is 5:00 AM. Waking up at 5:00 AM will give you exactly an hour and 45 minutes before 6:45. From the given information, the correct answer is Flight I511. It is not a direct flight to Paris with Istanbul as a destination. Moreover, it is the cheapest with 400 euros and takes only 4.5 hours. Just like EPSO AST tests where your skills will be tested according to the nature of the competition, the EPSO CAST tests also aim to assess particular skills akin to the job or the specific profile you are applying. Those of you seeking to be contract agents will have to take a series of 25 multiple-choice questions, designed to test the inherent competence to the duties required for the specific profile. Therefore, you will need to familiarize yourself with the duties described in the Call for Expression of Interest. 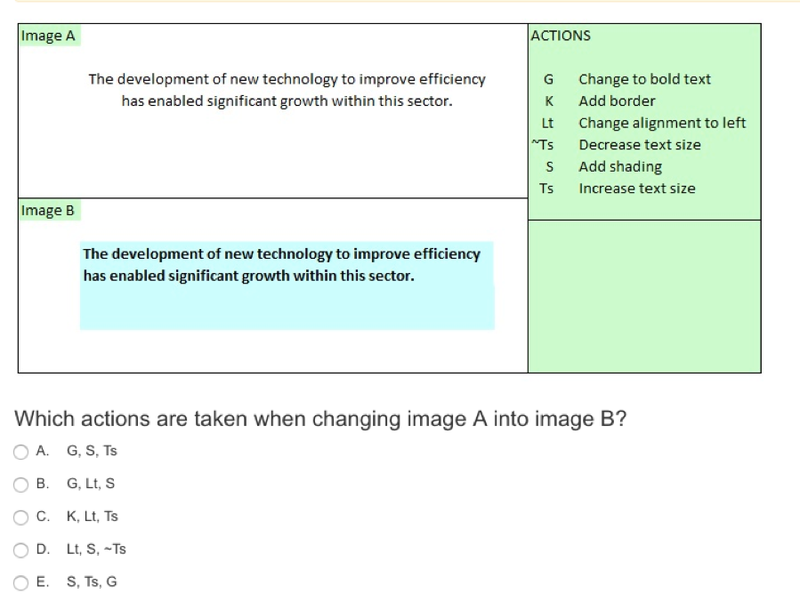 Each of the questions is based on a scenario linked to four different answer options, of which only one is correct. You will have 50 minutes in total to answer the questions. The competency tests will be taken in your second language of choice. The pass mark is 13 out of 25 points for both function groups II and III whereas for function group IV, candidates need to score 16 out of 25 points to pass. The questions are on financial procedures, accounting management, analysis and advice (audits and controls), and may also cover economic theories and tools to monitor and analyse economic and financial trends, developments and data. A fixed asset costs € 13 000 and has a terminal value of € 2 000. If its life is 5 years, what amount should be set aside for depreciation each year, using the straight-line method? 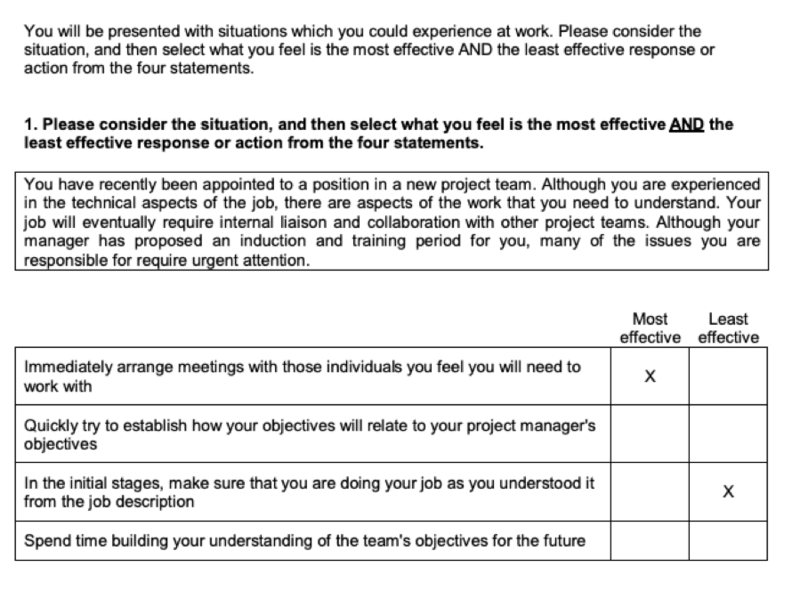 The questions test your knowledge of project/programme management (planning, monitoring, evaluation, etc.) which also cover relevant financial aspects, communication and quality assurance. Which is the correct sequence of phases to follow in managing a project? Questions are on a range of secretarial tasks/clerical duties such as organising meetings, preparing missions, filing documents and mail, sorting post, maintaining appointment diaries, etc. 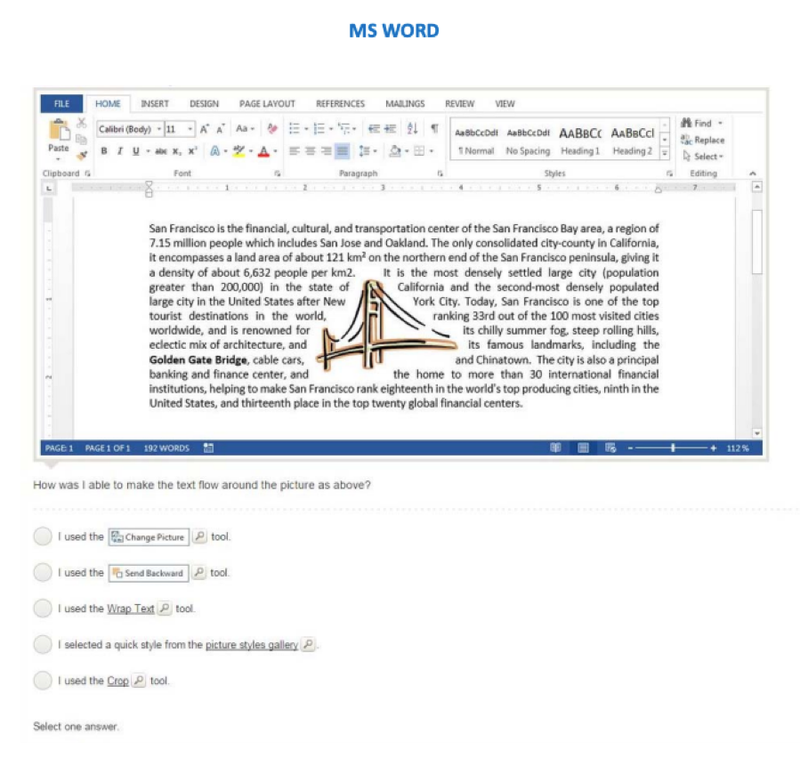 Basic knowledge of MS Office software products is also tested. You are compiling a report in electronic format which requires reviewing by several colleagues. What should you ask them to do? Questions are mostly related to personnel management and professional training. The questions are about practical tools such as, but not limited to, briefings, factsheets, online communication, social media as well as on pertinent project management aspects related to e.g. definition/implementation/execution of communication strategies. The questions test your knowledge in political areas, both on general and EU level, but can also cover legal and economical subjects. The questions test your knowledge of EU, national and international law which may also cover political and economic subjects. The questions are about a variety of ICT related topics such as, but not limited to, the use of programming languages such as JAVA, Visual Basic, Visual C#, etc., user environment administration (e.g. Windows and Unix) and network and telecommunications management. What is the maximum data transfer rate for a USB 2.0 device? Questions are on childcare in after-school facilities and outdoors (children aged 3.5-14), kindergarten teaching and nursery/nurses and childcare work for children aged 0-3 in crèches. During the group nap, a child wakes up before the other children in his group. It is clear to you that he has had enough sleep. What do you do? The questions cover different aspects such as the coordination of work of a nursery or after-school centre and its staff, the quality of life of the children and interaction with the parents, the development and monitoring of the educational mission statement (including training). 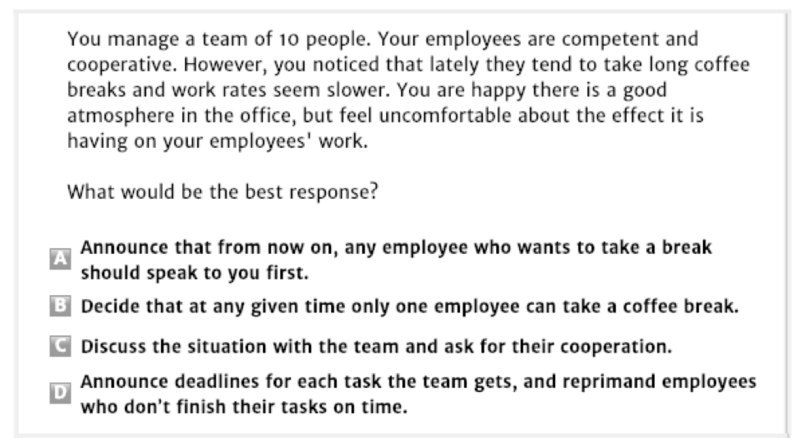 The E-Tray is a computer-based test in which candidates are asked to answer a number of questions using the documentation provided in an e-mail inbox. Its relevance is to the organizational environment that one encounters on a daily basis. The e-mail, addressed to you, will contain a call to action such as a request, a complaint, etc. You are then provided with a short description of the circumstances. Together with the e-mail are few optional courses of action which you are tasked to select the most appropriate one. With the EPSO E-tray exercises, you need to mark each possible course of action, deciding between the following: – – totally disagree / – disagree / – + neutral / + agree / ++ totally agree. The E-tray part of the test is conducted in the candidate’s second language (English, French or German). The case study is generally a computer-based test based on a relevant scenario. Candidates are faced with numerous problems for them to solve or must react, relying solely on the material provided. Candidates are put in a group with several other participants to discuss their conclusions and reach a collective decision from a certain amount of information given on their own. The EPSO Oral Presentation will test an individual’s analysis and presentation skills. They will be asked to come up with a proposal about a fictitious work-related problem. After analysing the documentation provided, candidates have to present their ideas to a small group of people. In this test, you will be presented with an essay from which a couple of questions are generated. You will have to answer the questions correctly from the given information you have read. The summary test is applied in a Lawyer-Linguist (AD) competition. It consists of a text given in language 3 from which you will have to write on computer a summary of it in language 1 or the language of the competition. You will be given approximately 2 hours to finish the test without using dictionaries. As with the name, this test is applied to Lawyer-Linguists (AD) competitions and Translators (AD).